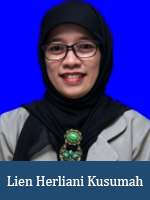 Lien Herliani Kusumah is a member of the research team at OES participating on the ‘first global assessment on the current state of organizational excellence’ that was launched by the OETC and has been supported by the GBN, ISO/TC 176 and International Academy for Quality. She has Master and Doctoral degrees in Industrial Engineering and Management from Bandung Institute of Technology, Indonesia. Her research interests include Total Quality Management (TQM), Performance and Productivity, Governance, Operations Management, Enterprise Risk Management, and Small Medium Enterprises (SMEs). Lien has published scientific papers and reviewed research papers for international peer-review journals. She works at Mercu Buana University, Indonesia and is a senior researcher in Indonesian Institute of Corporate Governance (IICG). Her work at the University is supported by a research grant from ŐAD, at Graz University of Technology, Austria.